Civil War Cycling’s flashcards are for students who want help memorizing Gettysburg’s Orders of Battle to the brigade-level. My favorite reference on this topic is Bradley M. Gottfried’s book, Brigades of Gettysburg (New York: Skyhorse Publishing, 2012). Also, Civil War Trust provides an easy-to-read Order of Battle from the Official Records (which are available online through Cornell University Library). 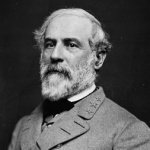 Who were Lee’s corps commanders at Gettysburg? 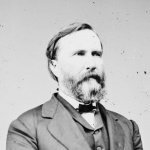 1st Corps – Lt. Gen. James Longstreet (1821–1904). 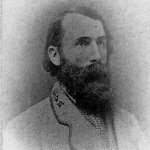 Longstreet was from South Carolina and Georgia. 2nd Corps – Lt. Gen. Richard S. Ewell (1817–72). He was born in Washington, D. C. but grew up in Virginia. 3rd Corps – Lt. Gen. Ambrose P. Hill (1825–65). A. P. Hill was from Virginia. Army of Northern Virginia. The Confederate (CSA) army at Gettysburg. 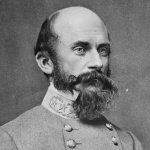 Who commanded the Confederate army at Gettysburg?